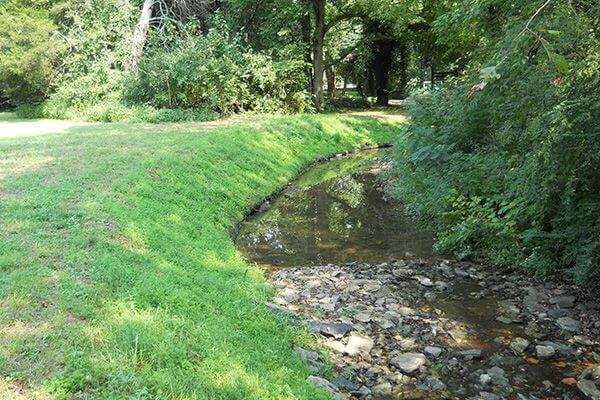 Problem: A tributary of Codorus Creek, which flows to the Susquehanna River, runs through York, Pennsylvania. On most days, the tributary is a foot deep. After a rainfall, like most tributaries, the creek swells to five or more feet causing significant erosion to its banks. The banks had become so eroded that the risk was high that power lines would begin falling into the creek. The local power company was faced with the expensive prospect of having to move several power line poles over a one-mile stretch in order to prevent this from happening. The power company came to the decision to try to restore and stabilize the bank before removing and relocating the poles. Solution: General contractor Stewart and Tate was familiar with the use of Filtrexx products for bank stabilization through a local Filtrexx installer, River Valley Organics. They inquired whether this technology would help prevent the poles from falling into the creek. River Valley Organics President Doug Caldwell recommended Filtrexx GroSoxx. GroSoxx are a vegetated block system that provides immediate stabilization and vegetation establishment for permanent stabilization. 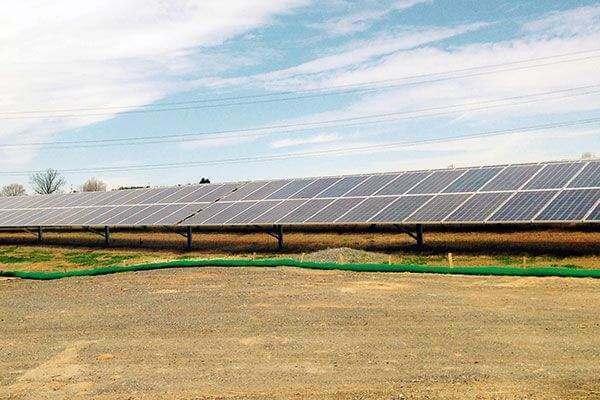 Success: River Valley Organics and the power company worked together to complete the project. Sandbags were used at the base, as required by Pennsylvania Department of Environmental Protection and then armored with rip rap. Then the bank was excavated to toe the GroSoxx into the bank. River Valley Organics blew in 8” GroSoxx seeded with perennial rye. The GroSoxx were reinforced with rip rap on the upstream side and then the system was buffered with a reinforcing layer of rock. 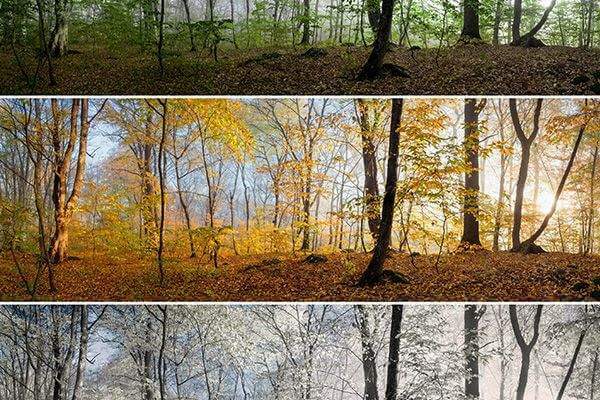 The entire project took six hours to install. The GroSoxx are now fully vegetated, saving the power company time and money. I wanted to give a quick update on a regional event that Filtrexx will be attending. On Tuesday, March 12 I will return to my old Buckeye stomping grounds in Columbus (O-H-I-O! ), to attend the Ohio Stormwater Management & Drainage Conference. We have seen an increased interest from Ohio engineers lately on various projects. From pipelines and well pads, to green solutions for shorelines. Our goal is to be present at this event to make sure designers know about the great solutions that Filtrexx can offer. Of course, I’m also very excited to hear updates from the Ohio Department of Natural Resources on the new state permit. I want to explore how we can get more compost filter sock specified in the state of Ohio, the state where compost sock was invented! I will have a booth at the show and will be happy to answer questions, or provide solutions for your upcoming projects. Make sure to stop by and say hello! Nick has a Bachelor of Science from The Ohio State University. 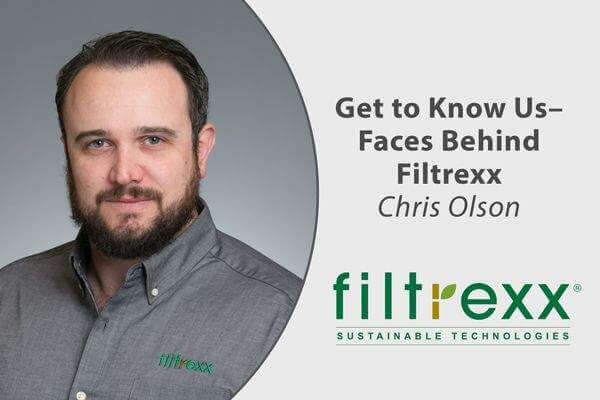 He has been with Filtrexx for over 13 years and is now managing sales for the Northeast region. He has over 5 years of experience in SWPPP writing/review, stormwater inspections, and BMP installation. In his free time, he enjoys hiking and kayaking with his girlfriend and playing with his Boxer puppy Rudi! 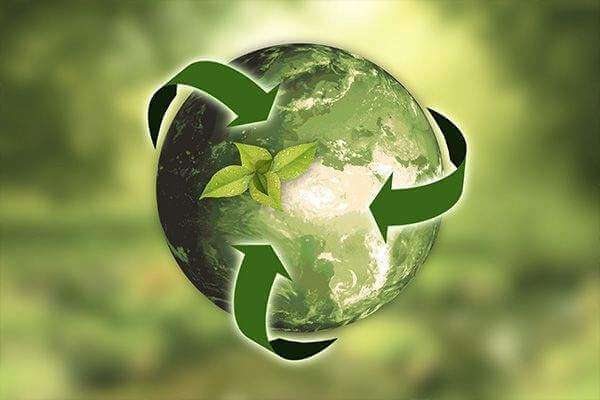 Filtrexx International is committed to creating high performance environmentally sustainable products, not just for their intended application - environmental compliance, but to move beyond impact minimization, to creating products and services that are truly regenerative to the environment. 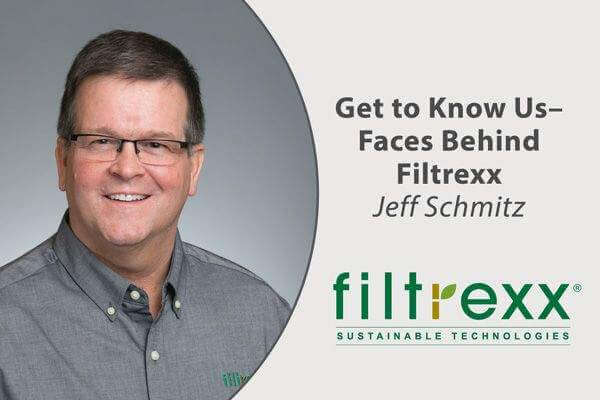 Filtrexx views organic matter, the base material for all of its products, as form of natural capital, and the filtration it provides an essential ecosystem service – just as we find in natural ecosystems across the planet. Prevented/sequestered 1,660,355 tons of CO2 from entering the atmosphere – equivalent to removing 353,267 cars from roads and highways. The International Erosion Control Association Conference was held in Denver, Colorado this year at the Colorado Convention Center. 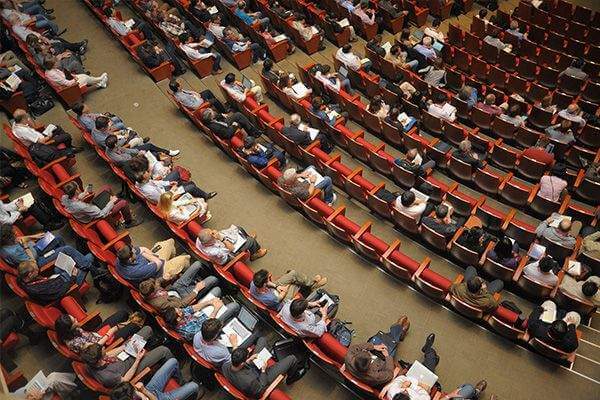 Professionals in the erosion control, stormwater management and sediment control industries gathered together for three days of networking, meetings and educational sessions. 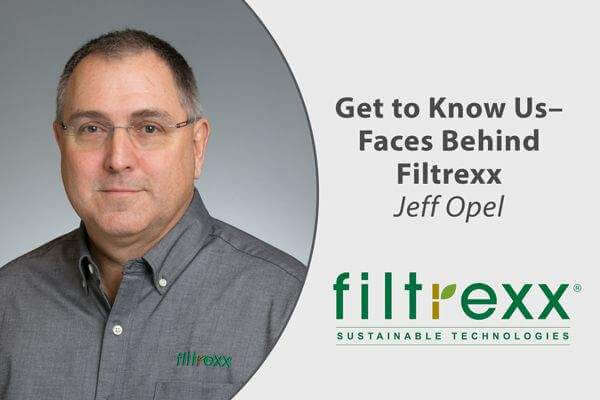 Filtrexx attended once again and Dr. Britt Faucette presented Calculating Ecosystem Service (Environmental) Impact of Compost-Based Sustainable Management Practices (SMPs). Dr. Faucette’s presentation focused on Natural Capital – the material within the environment that provides free ecosystem services that maintain our economic, environmental and human health. Ecosystem services include soil erosion control, stormwater prevention, maintenance of natural cycles, climate regulation and waste reduction. Ecosystem services have a global economic value of $33 trillion per year. We save on energy, hard infrastructure and financial expenditure the more we monitor and manage the earth and its natural design. Low impact development and green infrastructure strategies use natural design principles to decentralize stormwater management and restore the natural hydrology. Compost best management practices (BMPs) utilize these sustainable design strategies and maximize what nature does to reduce stormwater, filter pollutants and conserve water while also implementing bio-based materials, reducing carbon footprints and accruing LEED green building credits. IECA 2019 was a great show and Filtrexx is excited to be once again participating in IECA 2020 in Raleigh, North Carolina! Filtrexx is kicking off this week by attending the International Erosion Control Association Conference in Denver, Colorado. With erosion and sediment control being the theme for the week, below are four reasons why compost filter socks are the best BMP for your construction project. 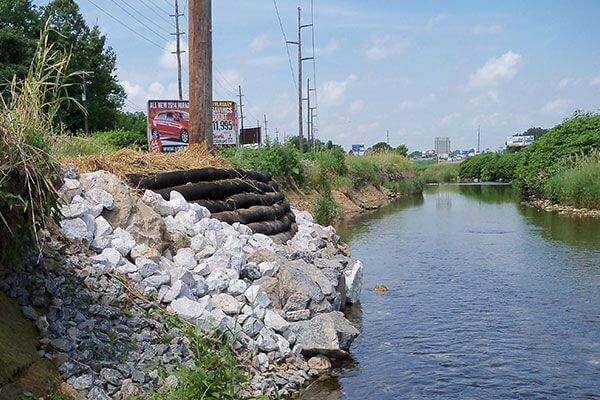 The top four reasons why any sediment control Best Management Practice (BMP) fails on a construction site are issues with installation, maintenance, performance, and design. Compost filter socks are specifically designed to remove each of these issues, minimizing risk on any construction site or land disturbing activity. Compost filter socks are one of the only BMPs on the market that do not require trenching, which is both labor intensive and a land-disturbing activity. Simply prepare the ground, lay down the compost filter sock, and stake. It is the industry leader in installation simplicity. 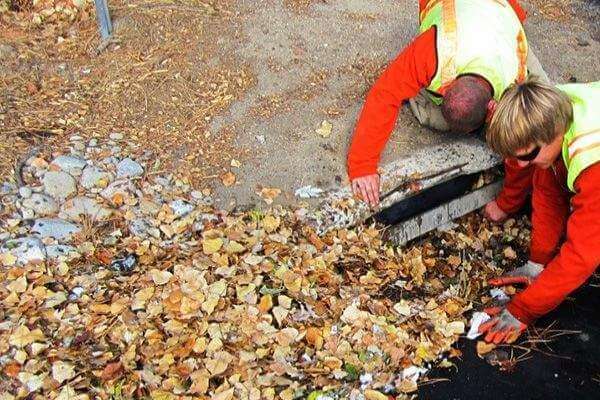 Compost filter socks combine one of the highest stormwater flow-through rates and heaviest weight of any BMP in the industry, creating a product that rarely moves, floats, overtops, or undercuts – creating minimal maintenance requirements. Compost filter socks are one of the only sediment control BMPs whose performance has been researched by multiple major U.S. universities and a U.S. federal agency, with results published in leading U.S. environmental scientific peer-reviewed publications. 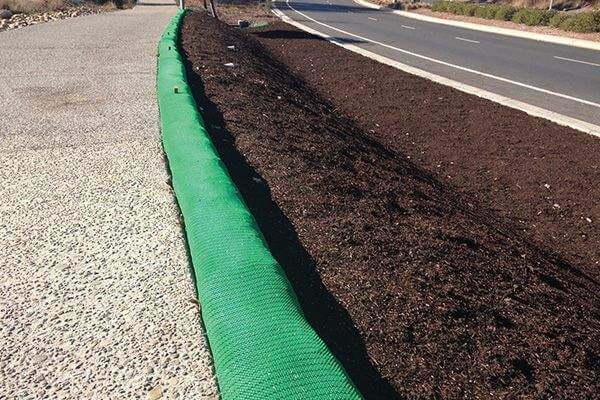 Compost filter socks are one of the only sediment control BMPs that have detailed site specific design and engineering criteria available for virtually any site and regional design storm/rainfall condition. Without this information a BMP is impossible to design correctly, leading to a much higher risk of major failure from under design or paying too much due to over design. In addition, compost filter socks are one of the only BMPs that are accepted by state regulatory agencies across the U.S., and can significantly reduce environmental impacts both on and off the project site. This blog was featured by both the U.S. Composting Council and the International Erosion Control Association. At its core, my role is to guarantee that sales efforts are supported by way of manufacturing and installations and to ensure that the manufacturing sites and installation crews have the resources and training to succeed. I also work with the product development team to forecast production capability requirements prior to the actual release of new product. At Filtrexx, bold decision making and flawless execution are cornerstones of what we do daily. We have the latitude to take initiative, take risks, and solve problems with just the right balance of careful analysis and audacity. We are a rapidly growing company and keeping production capability up to speed with the sale of product. The true challenge is finding the balance between muscling through a task to make sure it is complete and finding a better way to do it. Easy; the ongoing California fire remediation project is very fulfilling. In finding the best way to bring massive quantities of SiltSoxx to Northern California, we determined that opening a satellite location in short order to satisfy the need of sourcing local compost back into the community is best. We are partnering with charities and non-profit organizations to employ 10 local residents whose homes and jobs were lost in the Camp Fire tragedy. Watching the new team band together and exceed any rational expectation is nothing short of awe inspiring. As a relatively new employee, I learn every day. From starting at a base knowledge of 0 in compost to general business practices, every day comes with new lessons. In this order: Spending time with my wife and two kids, fishing, and teaching my kids to fish. We have a family cabin on Lake Vermilion, MN where we spend nearly every summer weekend. In the winter, we ice fish, snowboard, and generally just survive the cold. Prior to joining Filtrexx, I spent 10 years as an Infantry Officer in the Army where I had a chance to lead upwards of 135 of the Nation’s finest in far-away lands. I also spent the last 2 years of my career living in Cairo, Egypt working at our Embassy as part of the U.S. diplomatic mission coordinating the manufacture of 100’s of tanks and other arms to the government of Egypt. The best part of that assignment was being able to play #8 on a touring Rugby team composed of people from over 6 countries. 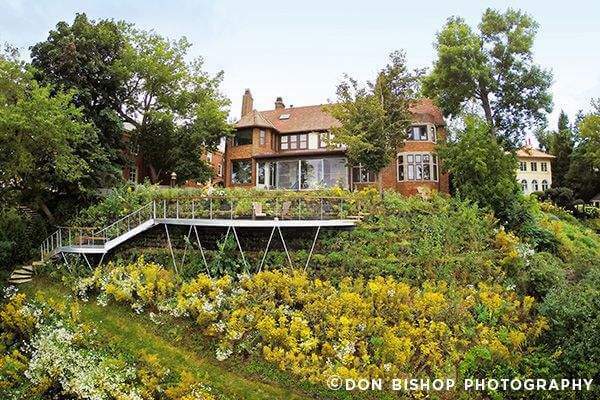 Problem: A family living on a beautiful lakefront property outside of Milwaukee had major concerns about the slope stability outside their home as well as having access to the beach at the water’s edge. From the view from the back porch windows, the home was right at the edge of the slope. 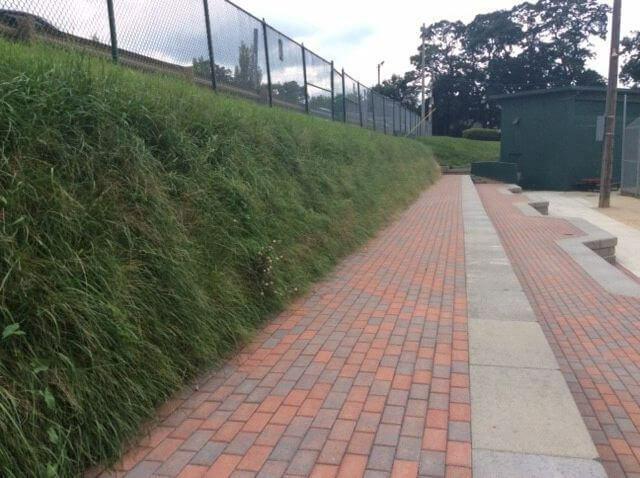 The slope needed stabilization and Marek Landscaping, LLC was hired to design and implement the project. Solution: A wall of GreenLoxx with GroSoxx were selected for the upper portion of the bluff. The wall would stabilize the area directly adjacent to the home, adding eight feet of yard to the upper terrace. To provide access to the beach, the team determined that a cantilevered deck would provide a dramatic and functional connection between a stone stairway and the trail leading to the beach. The living wall would be the foundation from which the deck and stairs would be anchored. It would provide the access to the beach and beautiful views of the coast. Marek’s landscape architect and in-house ecologist developed a plant and seed mix created specifically for the cultural needs and stabilization properties of the plants on the site. Careful on-site direction was provided to ensure efficient and exact implementation of the soil stabilization, planting, trail and overlook construction. Success: The 90-foot long by 15-foot high GreenLoxx wall consisted of lightweight geo-foam block backfill material, soil anchors and 3” galvanized pipe tied to layers of geogrid wrapped around every two layers of the GroSoxx at the face of the wall. Weight and size of assemblies were critical in design criteria as there was only five feet of space between the neighboring houses. The stairs and landing that connect the overlook deck and bluff trail were custom fabricated using aluminum, wood and stainless steel assemblies that curve and flow with the shape of the GreenLoxx wall. 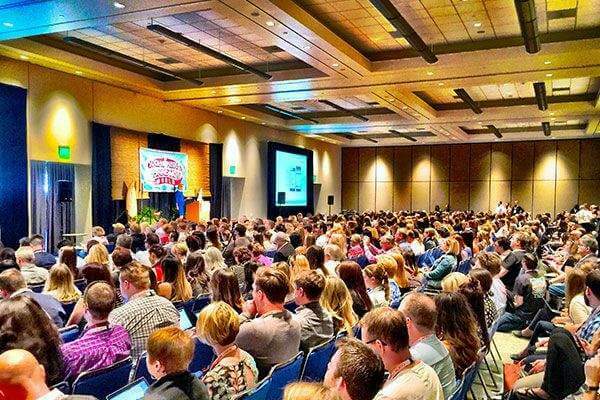 January: We kicked off the year and tradeshow season at COMPOST2018, the annual conference for the US Composting Council. February: Dr. Britt Faucette & John Paoluccio spoke at the IECA Annual Conference on the topic of Compost-Based Biofiltration Practices in Urban Runoff and MS4 Stormwater Permit Compliance Applications.Dr. Craig Kolodge also spoke, on the topic of Three Keys to Successful Living Shorelines - Containment, Reinforcement and Organic Media. March: With the help of EcoPractices, we calculated our 2017 Environmental Impact and announced the statistics on how our Sustainable Management Practices positively impacted the environment. April: The Spring issue of WEF Worldwater Stormwater Management magazine featured an article by John Paoluccio titled Catch Basin Inserts: Last line of defense in stormwater treatment (page 31), explaining the operation, benefits, and applications of these devices. May: Filtrexx sponsored the annual Composting Council Research & Education Foundation (CCREF) Young Investigator Scholarship for young professionals in the field of compost research. June: A unique GreenLoxx wall was installed in Lakewood, OH. The grown out after photo from a few months later shows how well this natural, vegetated feature works with traditional hardscapes. July: The Filtrexx Blog officially launched – we’ve enjoyed sharing industry news and knowledge from our partners and experts each week! August: Dr. Britt Faucette spoke at StormCon, The Surface Water Quality Conference on the topic of Ecosystem Service Benefits of Compost-Based Sustainable Management Practices. September: Filtrexx joined the 7th annual Storm Water Awareness Week by participating in five workshops across the state of California. October: We took a look at what it really means for sediment control products to meet state and federal requirements on the blog. November: Filtrexx welcomed our new General Manager, Chris Freitag, and wished a great retirement to Rob Carrothers. December: Dr. Craig Kolodge spoke at the National Summit on Coastal and Estuarine Restoration and Management on the topic of Using Organics for Coastal Resiliency: Upland to Coastline. That’s a wrap on 2018 – from all of us at Filtrexx we look forward to working with existing and new customers and partners in 2019, and wish you all a Happy New Year! As the Associate Marketing Manager for Filtrexx, Kristin specializes in print & digital marketing, graphic design, and website management. She also serves as the moderator for the monthly Filtrexx Webinar Series. Kristin attended the University of Toledo where she obtained a Bachelor of Arts in both communication and environmental studies. After completing multiple internships with Filtrexx, she officially joined the Filtrexx team in 2010. In her free time, she enjoys exploring local parks with her husband, spoiling their two golden retrievers, and cheering on the Cleveland Indians. What would nature do? This is the driving force in how we approach problem solving, product innovation, and site design solutions. If you look close enough nature often provides a perfect blueprint for efficiency, performance, and sustainability, and you can find this guiding principle in each of our major product lines from SiltSoxx and EnviroSoxx - relying on natural materials and principles of water biofiltration, to our Living Shoreline and Bank Stabilization technologies - relying on natural materials and native plants to restore natural water cycles and protect biological diversity – all while restoring natural carbon cycles as a fundamental design feature. 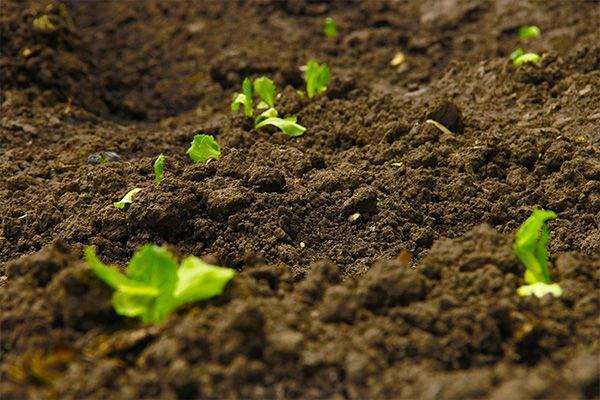 It is no coincidence that organic matter is the foundational material for all Filtrexx products, just as it is for all soil ecosystems worldwide. 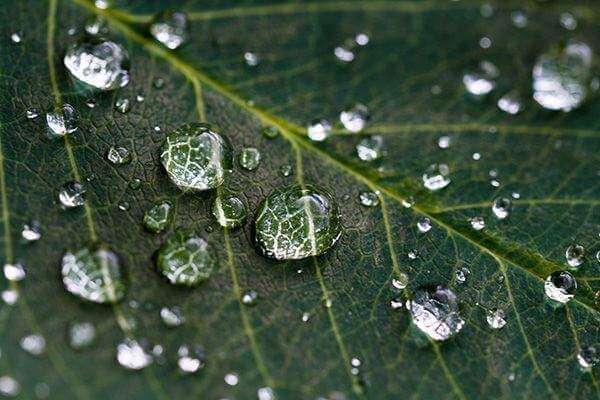 This essential material maintains local and global water and carbon cycles, filters pollutants, minimizes stormwater and soil erosion, and is the foundation material for plants and the soil food web. Preservation of organic matter (often referred to as natural capital) at the landscape and watershed scale is where each of us can have the greatest impact. However, preservation is not always feasible due to economic, land area, and land development constraints. Designing or reestablishing organic matter, back into the landscape, can be just as important. Selecting native plant materials and native sources of organic matter will help to ensure maximum performance and health of above and below ground ecosystems; and when designed appropriately will help restore and sustain ecosystem services. This type of design also builds stability and resilience within the system to protect against future, unforeseen disturbances and disasters, both human and environmental. The basis for this type of innovation and design is rooted in Biomimicry. Biomimicry is the imitation of the models, systems, and elements of nature for the purpose of solving complex human problems – it is innovation inspired by nature, according to Janine Benyus, founder of the Biomimicry Institute. Adoption of this approach to problem solving at Filtrexx has moved beyond product development, innovation, and design, and has now become ingrained in our culture.We have developed principles of Biomimicry to move beyond the idea of solely creating best management practices (BMPs) for our industry, to challenging and leading our industry with truly sustainable management practices (SMPs) – the next level of BMP.